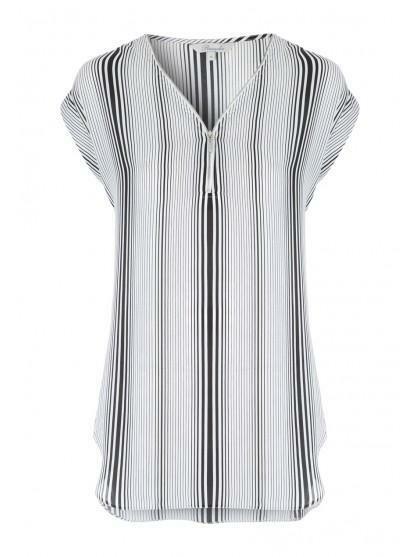 Make a chic addition to your office wardrobe with this women's black stripe zip pocket top. 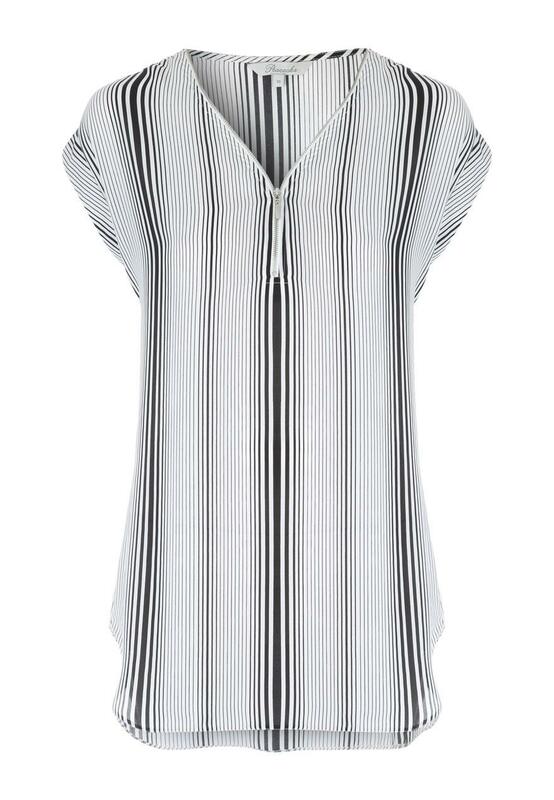 With short cap sleeves and a slightly dipped hem at the back, this top is perfect for teaming with black trousers for a look that means business. Really pleased with my top. True to size.